The Carnival in Rio de Janeiro is the biggest carnival in the world, with two million of people per day dancing and celebrating in the streets of Rio’s famous beaches Ipanema and Copacabana. It will last from Friday afternoon, the 1st of March 2019 to midday of Wednesday the 6th. The first festivals took place on the 1723. The aim of this popular celebration is to show respect to the great waters and to honor the gods. Many artist and dancer also take advantage of this festival to promote their shows and their samba dance schools. There are real dance competition taking place during the carnival days. Every year the world’s most spectacular superyachts meet up in Gustavia’s harbor for the prestigious St. Barths Bucket Regatta. It will take place from Thursday, March the 21st to Sunday the 24th. This four-day competition promotes the top-level racing team, followed by special shore side social events, all in a stunning Caribbean setting. 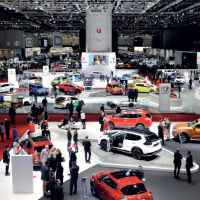 The International Geneva Motor Show is an annual auto show hosted in the Swiss city of Geneva. It will be presented from March the 7th to the 17th 2019. The show can boast the perfect location: right in the heart of Europe. The venue is right next to Geneva International Airport and is designed to collect all exhibition halls under one roof, which is very appreciated by automotive industry leaders coming over over to Switzerland each year, as well as the press and other visitors who travel from all over the world to discover the latest performances in terms of luxury and technology. Allow yourself to be pampered with the most famous shows and sports events and let us spoil you. 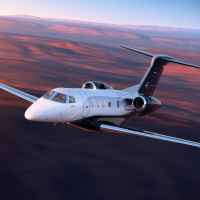 Fast private Jet can organize your private jet to Rio, St. Barths or Geneva, and our concierge service will recommend some extra treats, like the best show’s tickets, exclusive gourmet dinners, special events and after-parties.